Big Day Out 2018 | Crowlas & Ludgvan W.I. 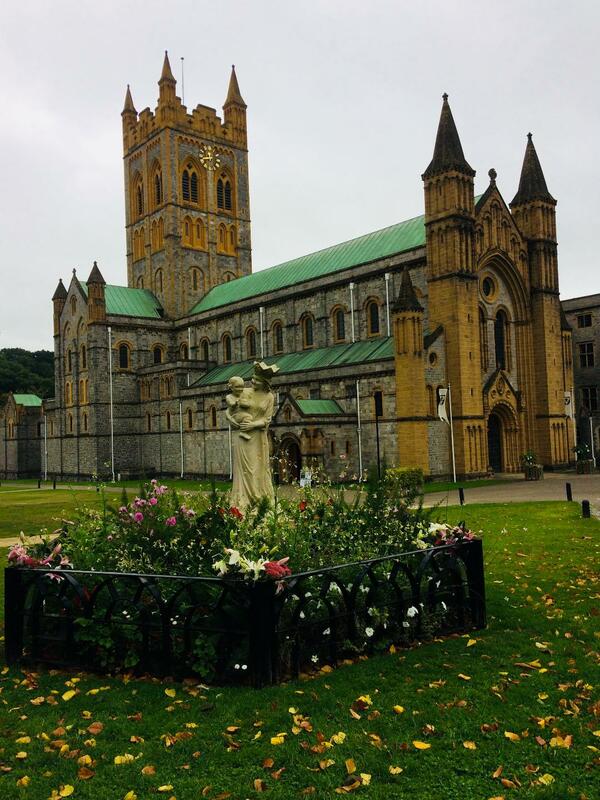 We made an early start, by coach, on our trip to Buckfast Abbey Devon, which is a working monastery of Benedictine monks. When we arrived at the Abbey we were shown into the new and very well designed interactive information centre. The cafe was our next stop for a welcomed cup of coffee, and then walked through the immaculately tended grounds to the Abbey itself, which was only completed in 1937. In the Abbey I was particularly interested to see the amazing pipe organs which were finished being installed last year. The highlight of this visit for me was to see the stained glass panel designed by the monks which is 8 metres (26 feet across). We then visited the shop where the monastery’s famous and most successful product was on sale, the Buckfast Tonic Wine! The shop also had many books and items for sale relating to the famous Abbey monk, Brother Adam, known for his extensive breeding work creating the honeybee known to this day as ‘The Buckfast Bee’. It was then time to board the coach and make a short journey to Totnes, an old fortified town at the head of the estuary of the River Dart. We set off in small groups to look at the many independent shops, cafes, galleries other places of interest. My group stopped for a lovely lunch before resuming our exploration of the town. Some of us also enjoyed a stroll along the banks of the river Dart and sat and watched a pleasure boat arrive from Dartmouth.